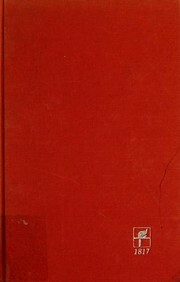 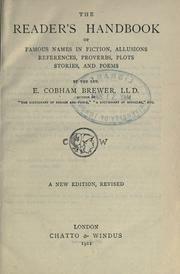 The reader's handbook of famous names in fiction,allusions, references, proverbs, plots, stories and poems. 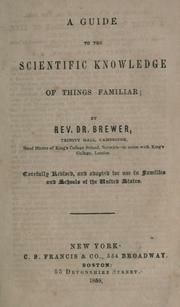 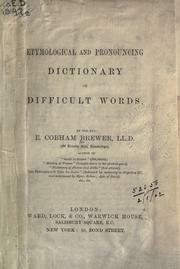 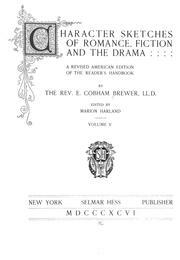 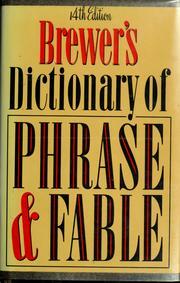 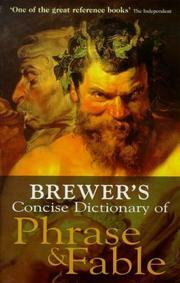 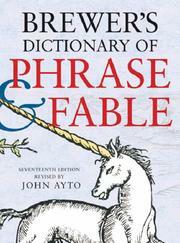 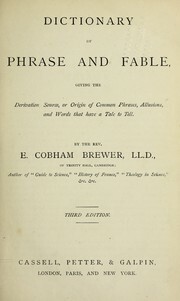 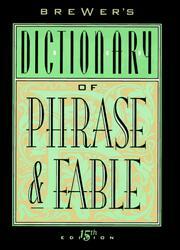 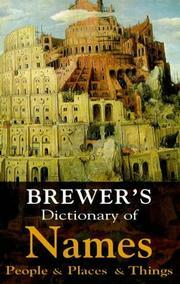 Brewer's theater: a phrase and fable dictionary. 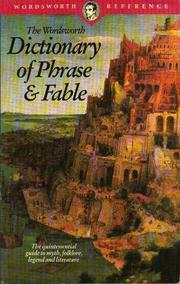 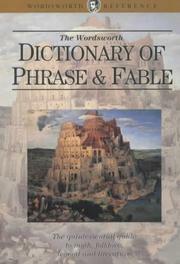 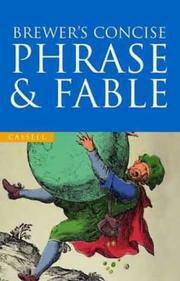 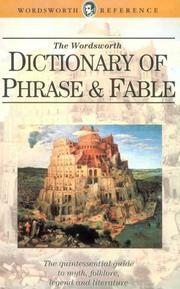 Dictionary of phrase and fable giving the derivation, source, or origin of common phrases, allusions, and words that have a tale to tell .. 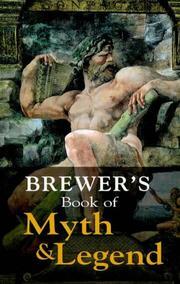 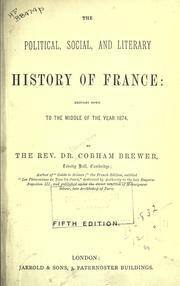 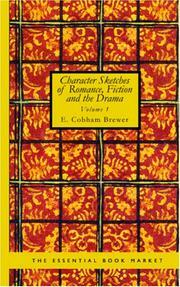 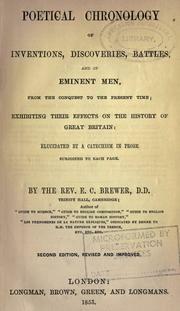 Authors and their works with dates..
Are you sure you want to remove Ebenezer Cobham Brewer from your list? 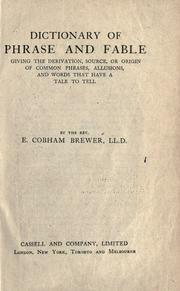 Rev. 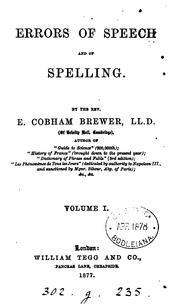 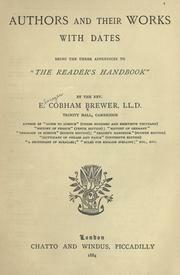 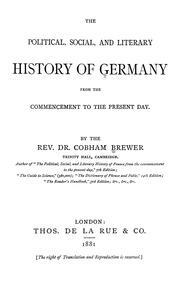 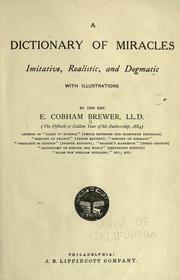 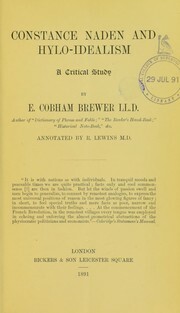 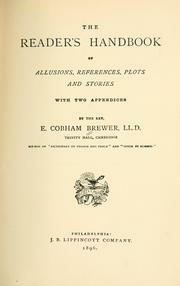 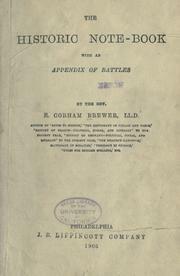 E. Cobham Brewer, LL.D. 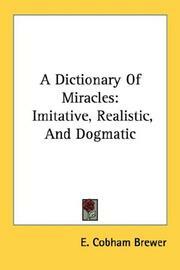 June 12, 2014 Edited by LeadSongDog Edited without comment. 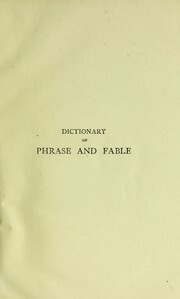 June 11, 2014 Edited by LeadSongDog Edited without comment.